The other night my good friends at EA invited me to come over and see some of their upcoming titles. Overall, it looks like they have a strong spring liineup. I spent so much time there that they were kidding me that I should help pack up. Command and Conquer 3 - The epic struggle between the Global Defense Initiative and The Brotherhood of NOD continues as the third Tiberium war begins. 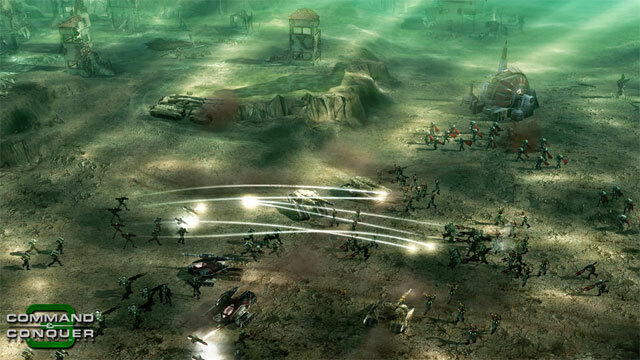 This is a pretty solid RTS for Xbox 360. I was surprised at how easy it was to command my troops across the whole map. The PC version ships on March 28 and the Xbox 360 version ships in Spring 2007. Def Jam: Icon - What can I say, these Def Jam games are massively popular. This one integrates hip hop music and fighting like never before. The music actually affects the fight. Drive him down with a series of punches that grow stronger because they match the bass line. Environments pulsate and debris flies along with the music. There's also an all new single player story mode that takes you from nobody to hip hop mogul as you build a record label, discover new talent, and become a hip hop icon yourself. Medal of Honor Vanguard - I've said it before and I'm sure I'll say it again: Everyone likes killing Nazis. 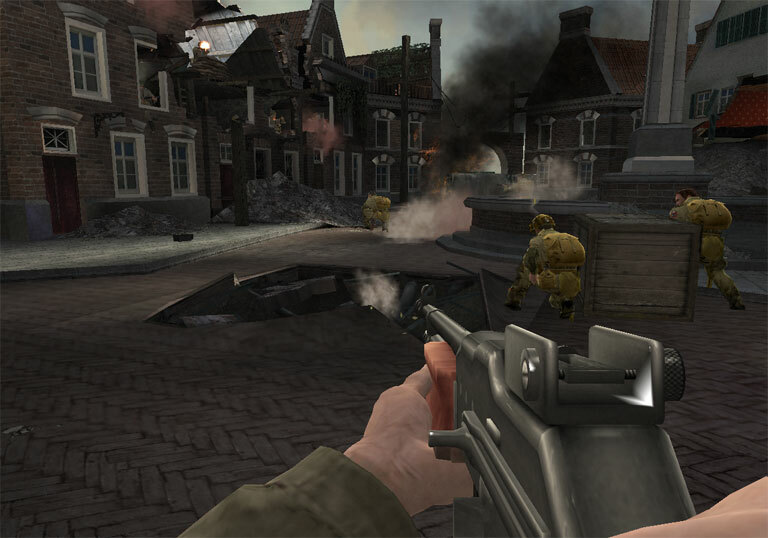 This latest installment of the highly successful WWII FPS is back and it looked great. They've simplified the HUD and gotten rid of the medpack system. Now when you're hurt you go hide in the corner and heal. This ships in March 2007 for PS2 and Wii. 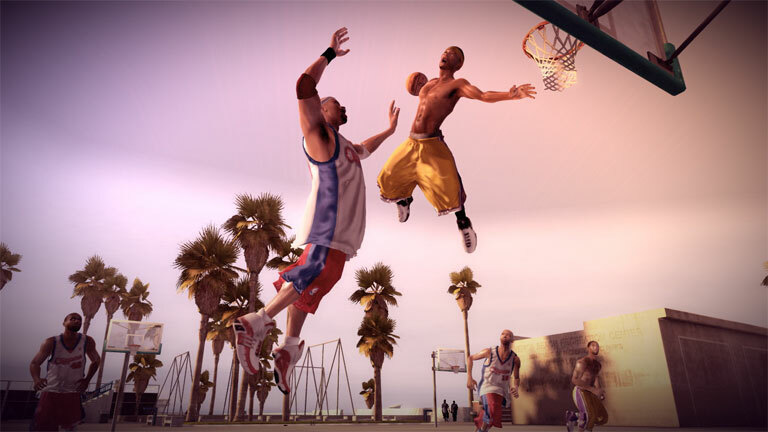 NBA STREET Homecourt - Featuring a brand new game engine that will knock your socks off, this wild street trick basketball game returns. This game is totally next gen with guys sweating, muscles rippling, cloth physics, all very smoothly integrated into game play. A new animation engine makes all the crazy moves you can pull look fluid. New controls let you create hundreds of tricks on the fly. Get ready to defy gravity and practice saying "Not in my house"! SSX Blur - This game looks absolutely sweet. I cannot wait to get my hands on this. As a huge SSX fan throughout the entire franchise and a Wii fan this is one game that I need to have. Use the nunchuk to steer down the mountain and the remote to pull off countless tricks. It felt to me like it would be possible to get into a zone where I would be just sitting there at one with the game, locked into it and using the Wii controller transparently. UEFA Champions League 2006-2007 - This is one beautiful soccer/football game. I was really impressed by the smoothness of the animation - players flow from one action right into the next. 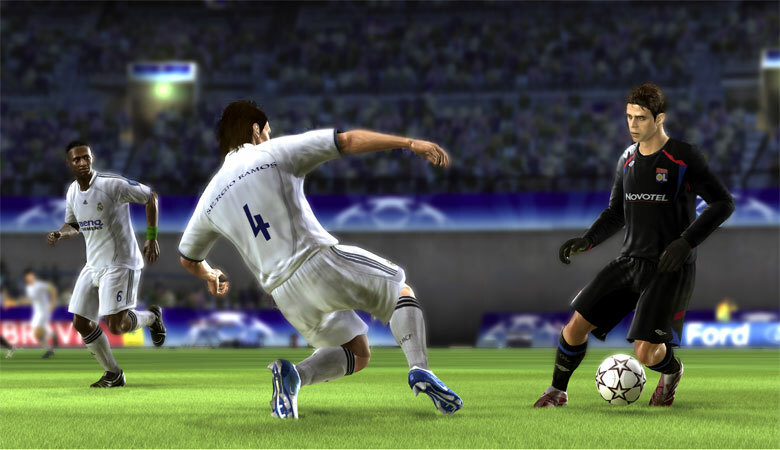 Controls have been tweaked as have player and ball physics. The result is a responsive game where moves can beat a guy one on one. The twist is that it is built around a collector's card system. You build your team using player cards that you collect online and then enter the tournament. Warhammer Online: Age of Reconing - I didn't see much of this PC title from EA Mythic (Dark Age of Camelot). It looked like nonstop combat. Tetris on EA Mobile - This was the big surprise of the night. As I've mentioned before, I'm not a big fan of playing games on phones, but Tetris and Tiger Woods were playable. 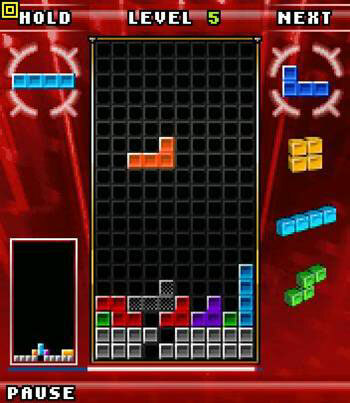 Tetris actually looked pretty good on the video iPod and is available on iTunes. The controls are integrated into that iPod wheel so if you're good with that you'll be able to manipulate Tetriminos (the blocks apparently have a name according to the press release) rapidly.